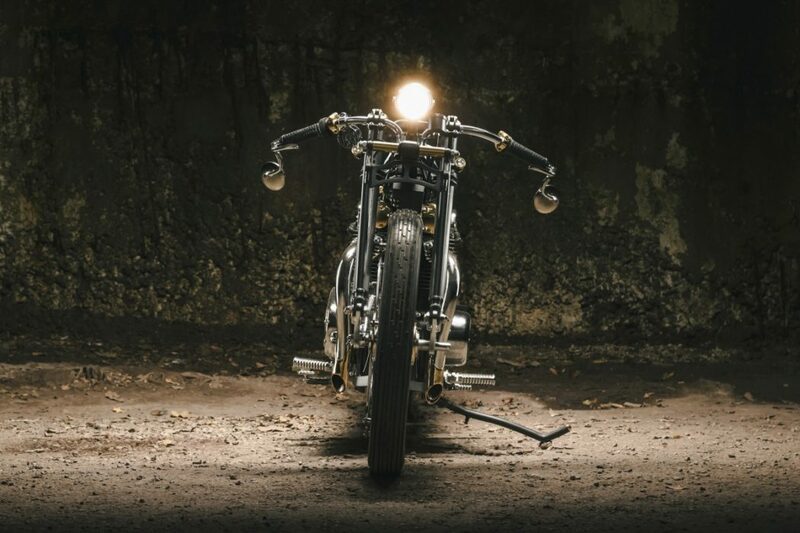 Upon its debut in 1968, the Yamaha XS650 broke new ground in the parallel twin motorcycle realm. 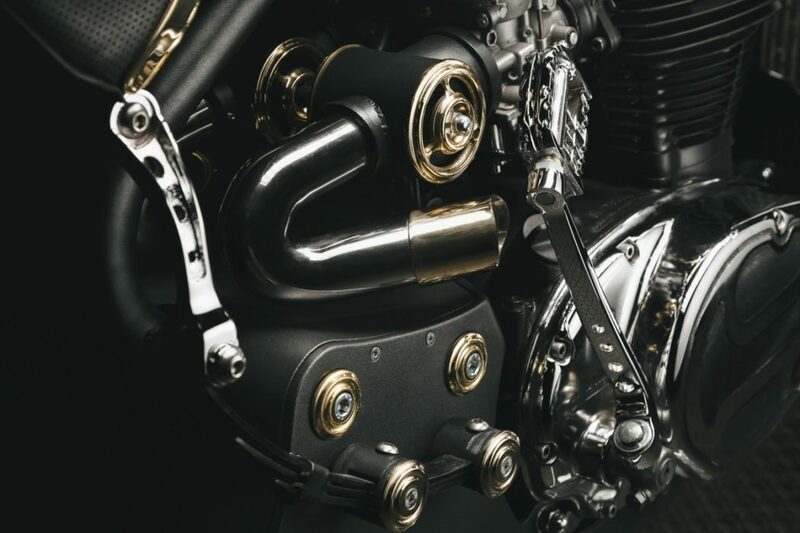 The unitized engine and gearbox, horizontally split crankcase and SOHC valvetrain of the 654cc powerplant were all attributes that the competition would eventually copy. 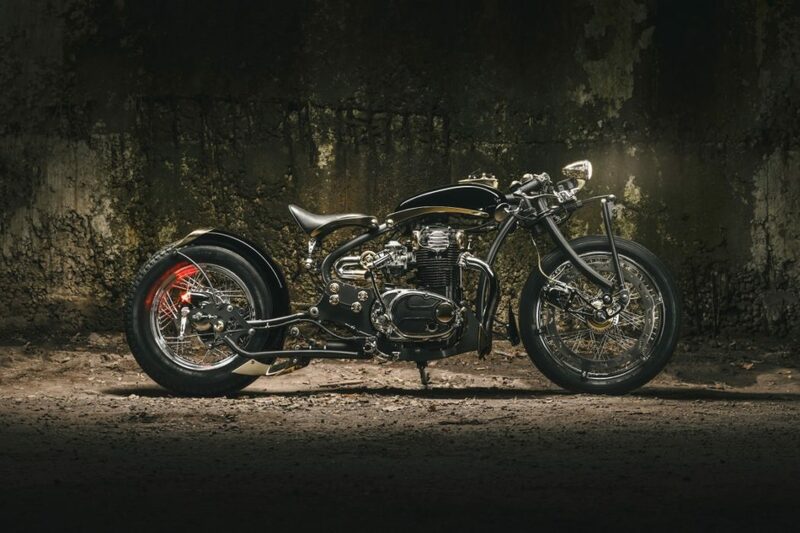 But this customized XS650 will be a lot harder to copy, as it has been comprehensively customized by Galaxy Custom. 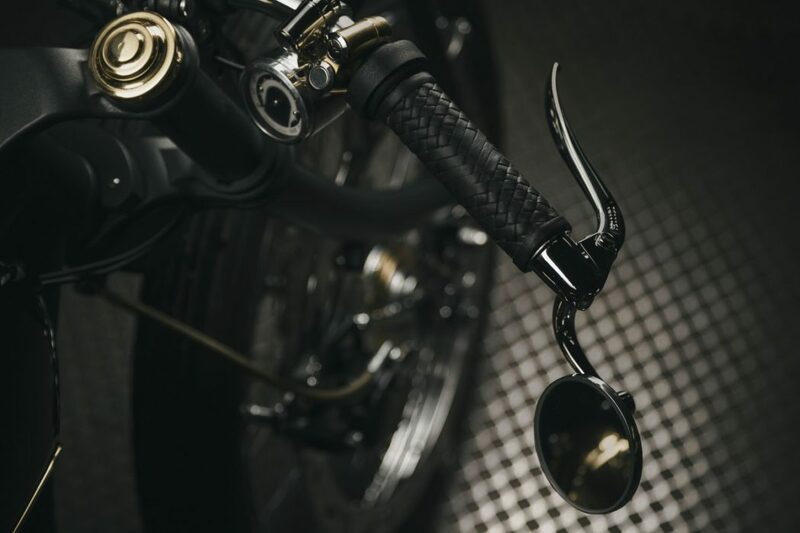 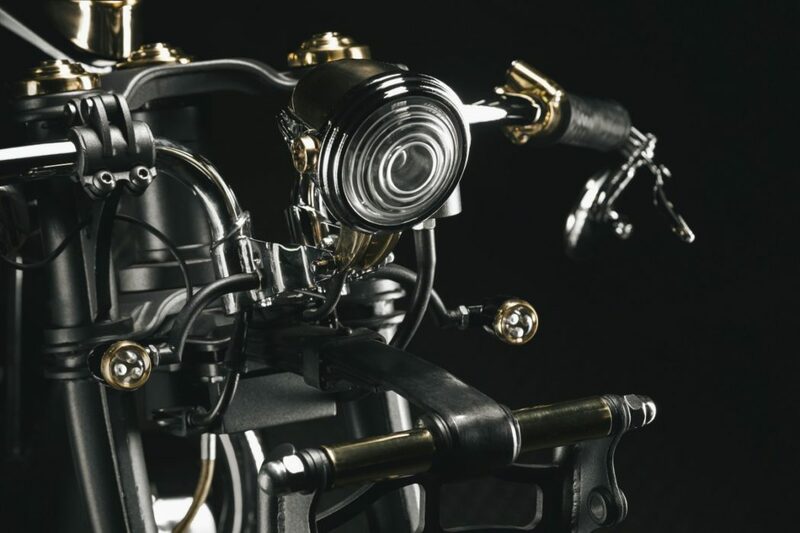 The hyper-talented Bulgarians behind Galaxy Custom decided to transform this Japanese classic into a steampunk bobber. 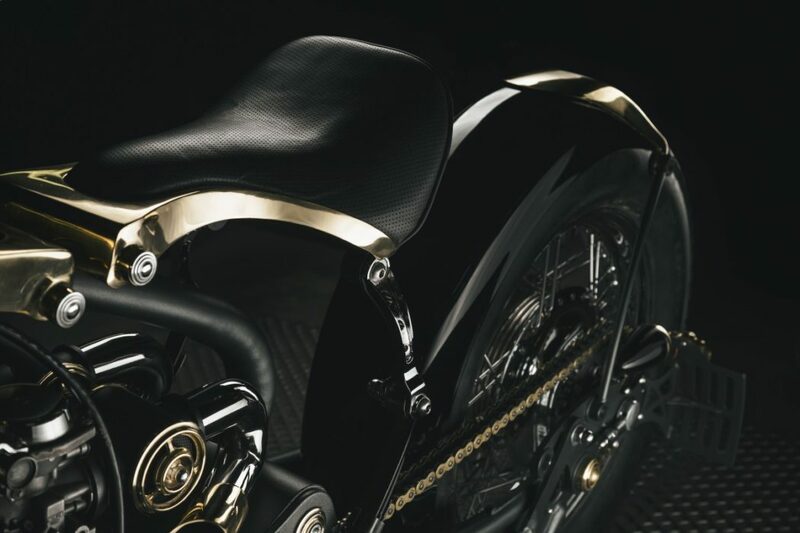 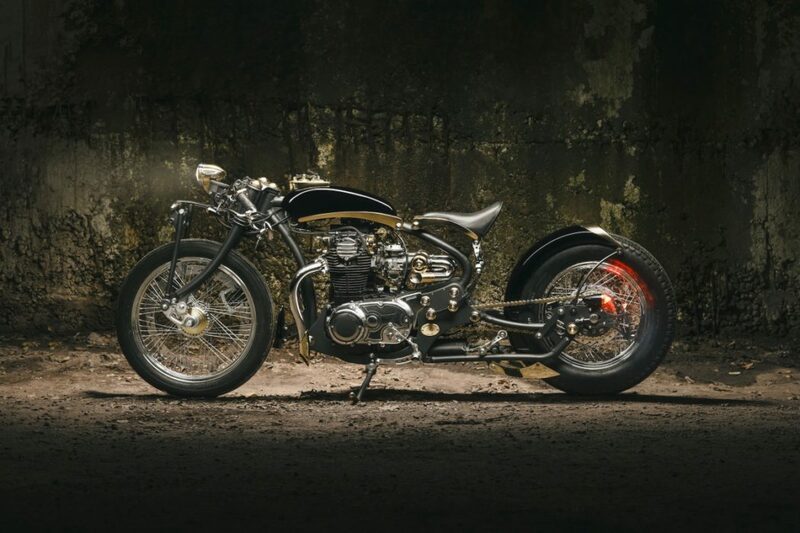 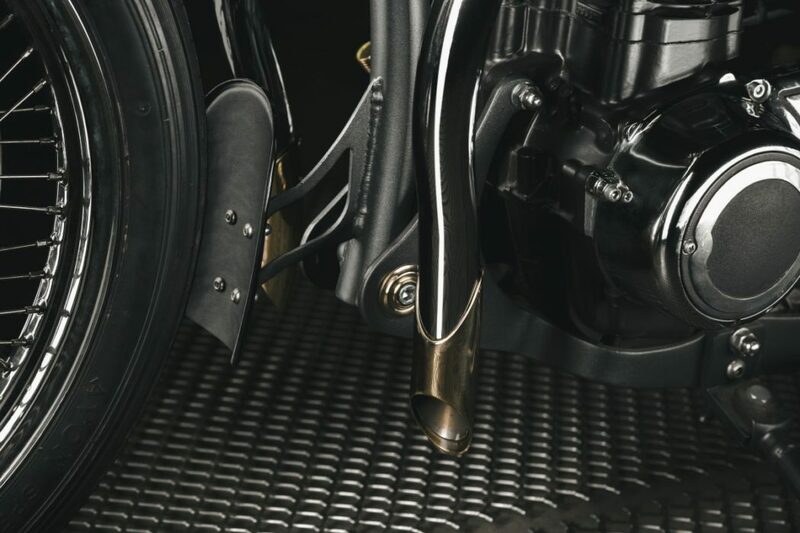 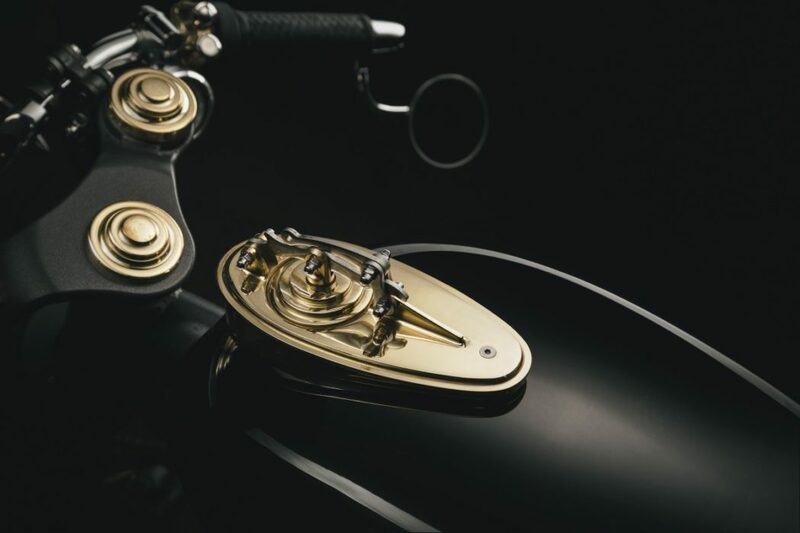 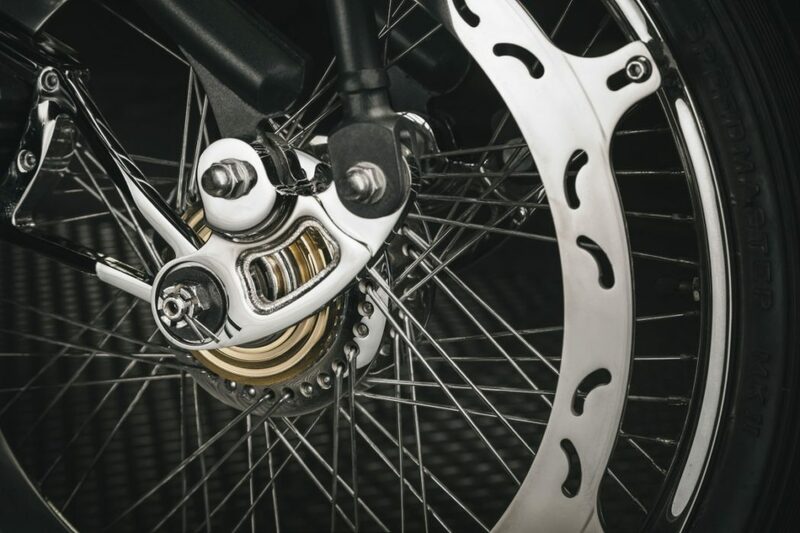 They addressed the former by adding bespoke, handmade parts like a headlight lens that looks like one off an old kerosene-burning headlamp, board track racer style handlebars and chromed and gold-plated intake and exhaust pipes for the engine. 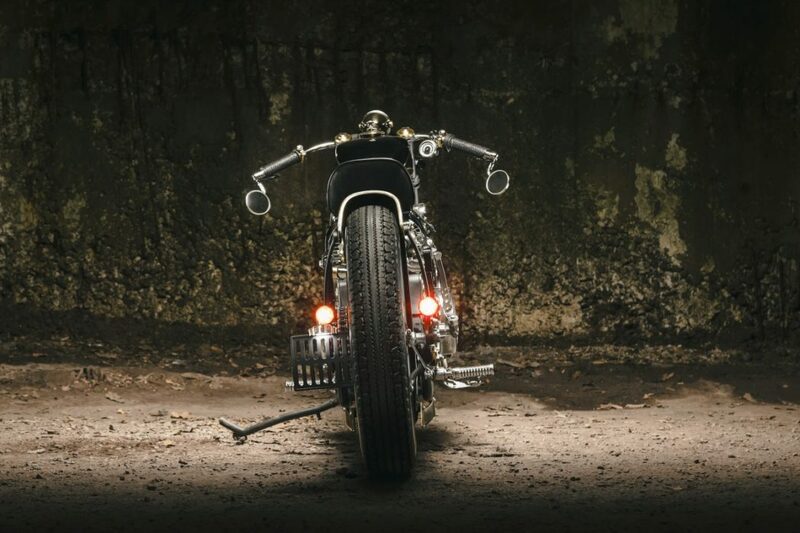 As for the bobber aesthetic, that’s provided by a curvaceous custom frame and rear swingarm. 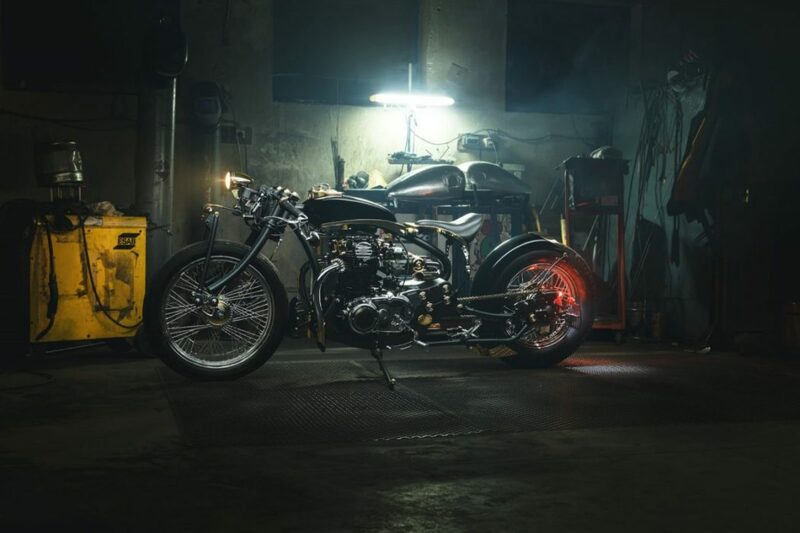 And lest you assume this is some hyper impractical showpiece, know that it has all the fenders, lights, reflectors and a license plate bracket needed to make it road legal…assuming you wanted to risk all that gorgeous painting, plating and fabrication work getting screwed up.